Saturday Night Live's original cast members as seen in this highlights video below included Chevy Chase, Dan Aykroyd, Jane Curtin, Garrett Morris, Gilda Radner, John Belushi, and Laraine Newman. SNL premiered 40 years ago this past week, on October 11, 1975 and has been a late-night favourite of baby boomers ever since. Where are these SNL cast members today? Chevy Chase had appeared on The National Lampoon Radio Hour before Saturday Night Live hired him as a writer and cast member in 1975, at age 32. Chase was the first cast member to leave SNL in 1976 after the first season, and was replaced by Bill Murray; before leaving, he won 2 Emmy Awards for his work on the show. Chase married girlfriend Jacqueline Carlin (she was wife #2), and moved to LA to start a movie career. He's since hosted Saturday Night Live eight times and made other special appearances. Over the years he battled alcohol and drug abuse. Today 72-year-old senior citizen Chevy Chase is married to 3rd wife Jayni Luke (since 1982). He recently co-starred on television's Community (2009-2014) and will next be seen on the big screen in Vacation (2015). Below, Chevy Chase was interviewed in 1989. Canadian baby boomer Dan Aykroyd (born 1952 in Ottawa, Ontario) was a 23-year-old Second City (Toronto and Chicago troupe) graduate when he and friend John Belushi were hired as for Saturday Night Live in 1975. By the time Aykroyd left SNL in 1979, he'd received 3 Emmy Awards for writing and 1 for Acting for the show. He would revisit SNL many times in the years since then, with guest appearances, cameos, and as a Saturday Night Live host. After leaving the show, Aykroyd and Belushi scored a big-screen movie success with their exuberant film The Blues Brothers (1980), co-written by Aykroyd. He's been married since 1981 to actress Donna Dixon. Today philanthropist and business man Dan Aykroyd can look back on a long successful movie career. 63-year-old Aykroyd is part owner of some wineries in the Niagara region and will next be seen on the big screen in the movie Ghostbusters (2016) as a taxi driver. Dan Aykroyd talked to interviewer George Stromboulopoulos in 2013, below. 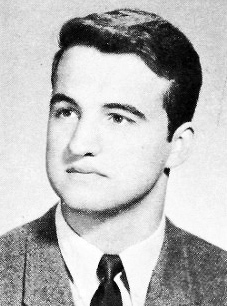 Funnyman John Belushi was only 26 when he began on SNL in 1975, but he'd already honed his improv skills on Second City. A perennial Saturday Night Live fan favourite, Belushi was often fired and re-hired by SNL due to his abuse of alcohol and drugs during his tenure on the show. Belushi left Saturday Night Live in 1979 to begin a movie career, along with close friend Dan Aykroyd. He was married to Judith Jacklin in 1976 until his life was cut short on March 5, 1982, when he died from a drug overdose at the age of 33. SNL straight-woman Jane Curtin was 28 when she was hired by Saturday Night Live in 1975, the same year she married Patrick Curtin. After leaving SNL at the end of the 1979/1980 season, she focused on her career in television, starring in in two long-running series - Kate & Allie (1984-1989), and 3rd Rock From The Sun (1996-2001). Today 69-year-old senior citizen Curtin is still married to Patrick an appears on the TV series Unforgettable. 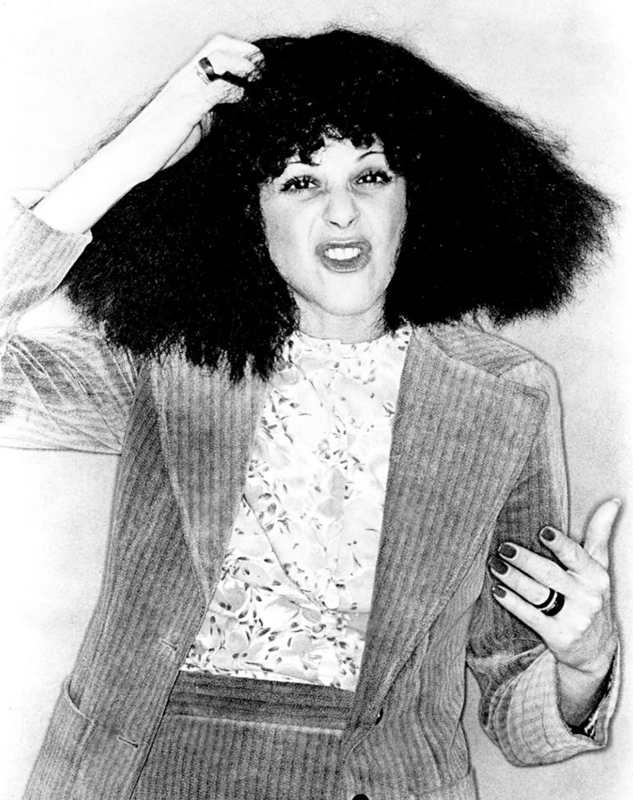 29-year-old baby boomer Gilda Radner, an alumnus of Second City and The National Lampoon Radio Hour, was the first performer cast for Saturday Night Live in 1975. While on SNL, Radner had a relationship with Bill Murray for a time, struggled with bulimia, and met first husband G. E. Smith. Radner left Saturday Night Live at the end of the 1979/1980 season. While filming the movie Hanky Panky (1982) with co-star Gene Wilder, they fell in love. After divorcing Smith, Gilda Radner and Gene Wilder married in September 1984. The couple starred in three movies together before Radner was diagnosed with ovarian cancer in 1986. Gilda Radner died May 20, 1989 at the age of 42. Laraine Newman was a 23-year-old baby boomer when she began her television career on Saturday Night Live in 1975. Although Newman and co-star Gilda Radner became close friends, Newman was not a fan of living in New York City to film SNL and left with the rest of the originating cast at the end of the 1979/1980 season. Newman has been married to husband Chad Einbinder since 1991. Today 63-year-old Laraine Newman can look back on a post-SNL career that included roles on television and in the movies. In addition to also writing and editing, she has done voice-acting for video games, television series and movies. When he started on Saturday Night Live back in October 1975, Garrett Morris was the "old man" of the cast at 38 years old. Although he was not happy on the show and felt he was often typecast, SNL served as a launch pad for his career. Morris left Saturday Night Live in 1980 and went on to appear in other television series. He survived being shot in a 1994 robbery. Today 78-year-old senior citizen Garrett Morris can be seen as Earl on the CBS comedy 2 Broke Girls. Below, Tom Snyder interviewed producer Lorne Michaels and the entire original cast of Saturday Night Live in 1975 just before the show aired for the first time. Chevy Chase, John Belushi, Dan Aykroyd, Gilda Radner, Jane Curtin, Garrett Morris, and Laraine Newman shared their thoughts being part of the ground-breaking series. Originally called Saturday Night due to Howard Cosell's competing Saturday Night Live show....a few years later after Cosell's series was cancelled , it officially became called Saturday Night Live. Note: This article was originally published in 2015. It was been updated with new & additional content.